Van Egmond Compost is an organic soil conditioner based on green compost and peat. This compost was collected from special compost heaps consisting of 100% green waste, guaranteeing the compost's high level of quality. Van Egmond Compost is extremely suitable for enriching lawns, borders and vegetable gardens. It also serves to enrich the soil with organic components, thereby improving soil quality and biodiversity in your garden. 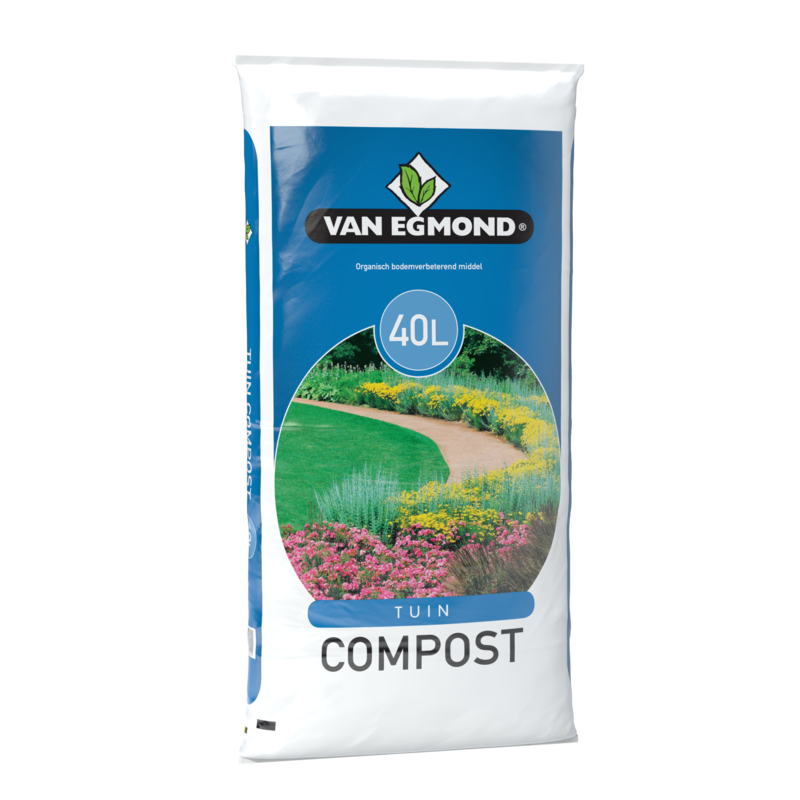 Van Egmond Compost is available in bags of 40 litres. Order compost directly through our order form!